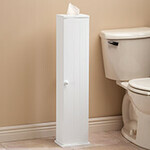 Long reach comfort wipe extends your reach. 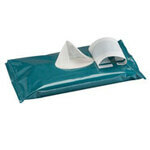 Easy to use and keep clean, comfort wipe's curved wand with toilet tissue grip ensures good hygiene. 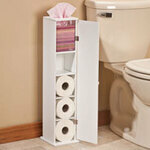 Holds tissue or wipes. Push top button to release. Latex-free plastic and silicone wand is 15 1/4"L.